White 2018 Ford E-350SD Commercial RWD 6-Speed Automatic Electronic with Overdrive Triton V10 6.8L EFI ** BLUE TOOTH **, ** DRAMATICALLY REDUCED **, KNAPHEIDE KUV, SLIDING DOOR IN FRONT BULKHEAD, UTILITY VEHICLE, LOW ROOF, LADDER RACK, KNAPHEIDE, SERVICE BODY, RWD, White, GRAY Vinyl, ABS brakes, Cruise Control, GVWR: 10,050 lb Payload Package, Limited Slip w/4.10 Axle Ratio, Order Code 780A, Power steering. $1,000 - Exp. 07/31/2019 Price includes $11,730 in dealer added accessories. 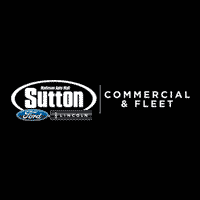 White 2018 Ford E-350SD Commercial RWD 6-Speed Automatic Electronic with Overdrive Triton V10 6.8L EFI ** BACK UP CAMERA **, ** BLUE TOOTH **, ** KEYLESS ENTRY **, ** 2 SETS OF KEYS **, SERVICE BODY, White, Cruise Control, Power steering. $1,000 - Exp. 07/31/2019 Price includes $11,970 in dealer added accessories.